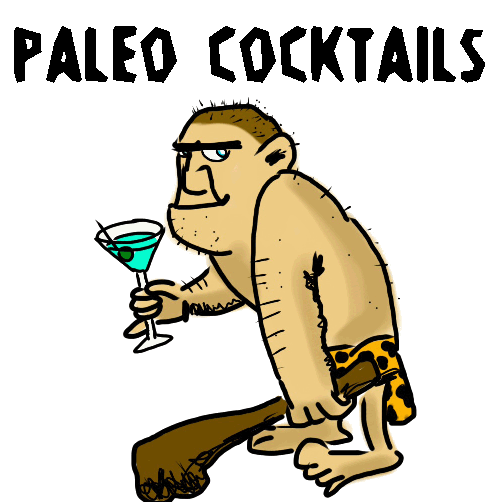 Drink like a caveman! Hunting, gathering, and drinking... Well, mostly drinking. I don’t know where you live, but around here it’s starting to get a little chilly—and by chilly, I mean anything less than 70 degrees. That means it’s time for something warm to drink. Something you can curl up with in front of the fireplace, or in my case, your HD TV with a video of a fireplace. 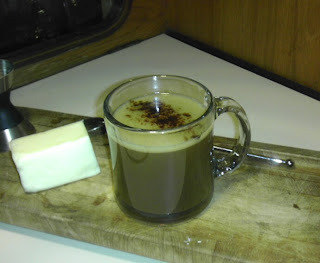 Hot buttered rum is an easy choice, especially since you don’t have to change much to fit it into your paleo lifestyle. Use coconut sugar for sweetener, and I recommend Kerrygold grass-fed butter (from grass-fed cows, they don’t actually feed the butter). Warm a glass mug with some hot water and then empty it out. Add the sugar and stir in an ounce or so of your hot water until it’s dissolved. Add the rum, cloves, allspice, and top off the mug with hot water. Stir in the butter until it’s melted, then garnish with your cinnamon stick and/or orange peel. I prefer to make these in the glass one at a time, but you can easily pre-batch the butter and spices into a batter and store it in the fridge for quicker drinks. Just throw a slice of the batter into your mug of rum, add hot water, and go. Well, don’t actually go anywhere. Just sit down and relax.